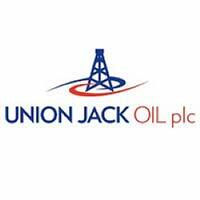 Union Jack Oil plc (LON: UJO), a UK focused onshore hydrocarbon production, development and exploration company is today announced a positive update in respect of the drilling timetable and expectations of the Biscathorpe-2 appraisal well in PEDL253 in which Union Jack has a 22% licence interest. The information contained within this announcement is derived from information and a presentation given by Egdon Resources plc at its Annual General Meeting on Thursday 6 December 2018. · Following completion of site construction – expected in early December 2018 – a conductor rig will be mobilised to set surface casing. · Drilling rig expected to be mobilised in early January 2019 with well completion expected in mid-February 2019. · Egdon’s AGM presentation includes further details on the Biscathorpe Prospect including the estimated range of Prospective Resources, a cross section and a comparison with the geology of the Reepham field some 20 kilometres south west of Biscathorpe, just to the west of the Fiskerton Airfield producing oil field (Union Jack 20%). · At the Reepham oilfield, the Basal Westphalian sandstone reservoir thickens dramatically off a ‘structural high’ over a very short distance and a similar development of the target reservoir is expected at Biscathorpe-2. · The geological chance of success at Biscathorpe-2 is 40% and the range of Prospective Resources is tabulated below (as estimated by the Operator). In addition, new slides containing updated information and a photograph of the Biscathorpe-2 drill pad are now available on the Company`s website www.unionjackoil.com titled “Biscathorpe-2 Update”. “We welcome the news of the impending drilling at Biscathorpe-2 and are pleased that the Operator continues to progress activities according to schedule. Biscathorpe is one of the UK’s largest onshore conventional oil prospects with Mean Prospective Resources of 14 million barrels gross and a geological chance of success of 40% in which Union Jack has a meaningful 22% licence interest. The Company`s economic modelling of the Biscathorpe Prospect highlights its attractiveness and shows a pre-drill value for the success case of circa £24 million net to Union Jack (using the industry standard net present value after tax at a 10% discount rate).